This is Alexa's sweet cat, Butterscotch. She chases him after him, as if he's a celebrity, to take pictures (with my camera, no less!) She's worse than the paparazzi. To be honest though, she's a budding photographer and gets some amazing shots. I especially love the bottom photo where Butterscotch's tongue is sticking out. Too cute! 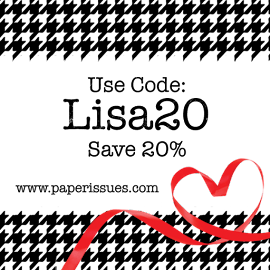 I pulled out a couple of older products to use on here, like Basic Grey's adorable Max & Whiskers collection, a Making Memories metal ribbon slide (remember those? ), some glittered chipboard pieces from We R Memory Keepers Furever Friends collection, and a My Mind's Eye polka dot brad. I'll be back tomorrow with another card share. Cute pics! Hmmm i may have one of those MM slides in the stash somewhere!!! Love the LO! Love love love love this!!! LOVING those photos and love the colors and the stitching!!! You sure made this collection look new and contemporary! Super cute page. Great design, as always, Lisa! Great pics, too. Alexa is a photographer, for sure. 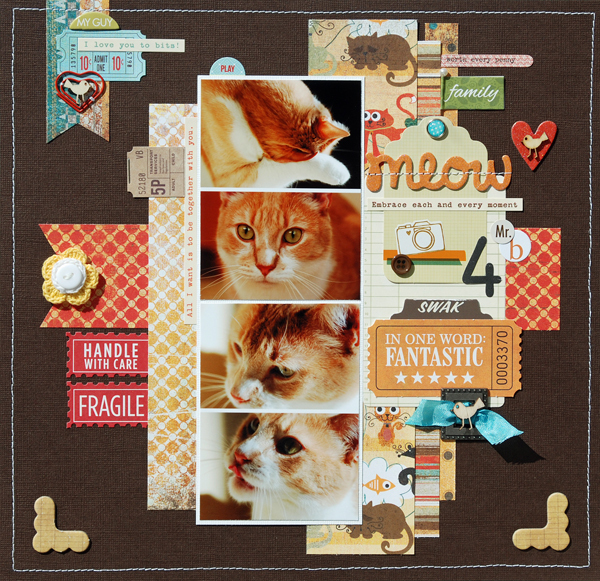 butterscotch...what a cute name and a fabulous layout! Awww cute photos and love the page you´ve made, the colors are perfect! Those are great shots! I like the style of your layouts...so many details to look at. Your layout is gorgeous as usual! Love the colors you've used. The papers are adorable. so cute, the kitty and your LO!!! :0:) printed the biscotti recipe out:):) thanks Lisa!! Great layout. Love how you sewed through the title-so cool. I like all the bits and pieces!! And great pictures -- it's hard to get good cat pics sometimes. Great shots and a totally adorable page. I love all your layering and embellies because it just works. I never think of all the stuff you get in there - but I want to. LOL! So cute! Perfect collection for this layout, and love all the different embellishments and bits you used! this is so sweet! I love how everything pops on that background! Yet another fantastic layout! I love it! The bird on the heart is a great little touch! Love this cute page Lisa!! The dark background looks great with the pops of color on your page and I love the awesome design! Awww such a sweet layout. I know my daughter can get some great photos. These are adorable!! Looks like my Archie. And awesome LO!! Love the brown and pops of color! Such a cute layout. I can never make a brown background look right and you make it look so easy! !